The May meeting will be held on the 14th at 7:30PM in the auditorium (Room 145) of Peyton Hall on the Princeton University campus. The May talk was chosen as a good way to end the 2018-2019 AAAP lecture series as July 20,, 2019 marks the 50th anniversary of the historic Apollo 11 moon landing. 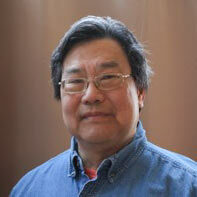 The featured speaker is James Chen who will discuss his book How to Find the Apollo Landing Sites. This book is for anyone who wants to be able to connect the history of lunar exploration to the Moon visible above. It addresses what Apollo equipment and experiments were left behind and what the Apollo landings sites look like now. Each Apollo mission is examined in detail, with photos that progressively zoom-in to guide the reader in locating the Apollo landing sites. Guided by official NASA photographs from the Lunar Reconnaissance Orbiter and the original Apollo missions, the backyard astronomers can view the Moon with a new appreciation of the accomplishment of landing astronauts on its surface. Countless people have gazed at the Moon in the night sky knowing the successes of the Apollo Program in landing men on the Moon. With the information in this guide, casual and serious observers can actually point out where the Apollo landings occurred as well as knowing why those sites were chosen. During the break there will be a book signing. The 10 minute talk will be given by Dave and Jennifer Skitt. This will be the second and final installment about their trip last summer to Chicago and the Yerkes Observatory. There will be a meet-the-speaker at 6 PM at Winberie’s in Palmer Square. If you want to join us for dinner please email Ira Polans at program@princetonastronomy.org by Noon on May 14. Parking is available opposite Peyton Hall. Looking forward to you joining us at the May meeting!